Basketball was invented in America at the end of the 19th century, making it a relatively old sport on a world scale. It quickly spread around the world to become popular in many different countries, and has grown to become one of the world’s most played sports. The history of basketball varies according to the country that you are in, and can be extremely varied and colourful. Australia is one of the countries which has adopted basketball as a major sport. Although national teams haven’t performed well historically, a recent surge in funding and interest saw the Australian men’s Boomers finish fourth at the most recent Olympic games in Brazil. The history of Australian basketball is both varied and interesting, and needs to be looked at to gain a full understanding of the sport in its modern form. Basketball spread to Australia in 1897, just six years after the sport was invented. The first recorded game was between OBI (Our Boys Institute) and YMCA on the 17th of February, 1897. The game took place in South Australia, and paved the way for the future. Early basketball development in Australia too place in Adelaide and its surrounding suburbs, unlike most sports which developed in Melbourne. However, the sport quickly spread across the country, with courts and basketball hoops popping up in even the smallest country towns. Basketball became a way for AFL players to keep fit over the summer months, and shooting a few hoops became a popular pastime. While women’s basketball wasn’t developed until later in the 20th century – most women of the time played netball – the sport is now extremely popular among both men and women across Australia. Good things can come from humble beginnings! Unfortunately, the early part of the 20th century didn’t see lot of basketball development in Australia. Compounding factors such as the two World Wars and the Great Depression reduced the impact of the sport (and indeed, of most sports) and prevented it from really growing until the 1930s. The Victorian Basketball Association was formed in 1931, paving the way for the large scale expansion of basketball across Australia. The NSW basketball association followed soon after, signalling the beginning of basketball expansion. In 1939, the first national governing body for Australian basketball was created in the form of the Amateur Basketball Union of Australia (ABU). Unfortunately, the ABU was a national union in name only, with representatives from NSW and Victoria. Over the years other states were added to the union, and the name was changed to the Australian Basketball Federation – which it remains to this day. Early Australian basketball competitions were scarce until the 1930’s. The development of various state and national governing bodies saw the commencement of various competitions, many of which exist to this day. To begin with, most of these competitions were played at a local level. However, state competitions and, eventually, a national competition were to be developed over the coming years. National Men’s Championships began in 1946. The first tournament was played in Sydney, and saw NSW defeat Victoria for the title. The first Women’s National Championships took place in 1955, with South Australia coming out comprehensive victors over NSW. In 1948 Australia joined the International Basketball Federation (FIBA). They were the 52nd country to do so, and this gave the national teams access to many international competitions and tournaments. Basketball was originally designed to be a men’s sport. It was thought that women couldn’t cope with both the physical demands and the dress requirements of the sport, and they were therefore discouraged to play. Many women turned to netball, which was aptly named ‘women’s basketball’ for the early part of the 20th century. This naming causes some confusion when it comes to the early history of women playing basketball in Australia. The history of women’s basketball in Australia is somewhat cloudy. Early records are scarce, and it is likely that women have been playing the game for almost as long as men. The first recorded national Australian women’s basketball team was in 1957. The Australian Opals competed in the second version of the FIBA world championships, which was held in Brazil, and ended up finishing in 10th position with wins over Cuba and Peru. The first national basketball competition for women was formed in 1981. It was named the Women’s National Basketball League, and has grown from strength to strength since its inception. Six teams from across the country competed in the inaugural season, and this number has since risen to eight. 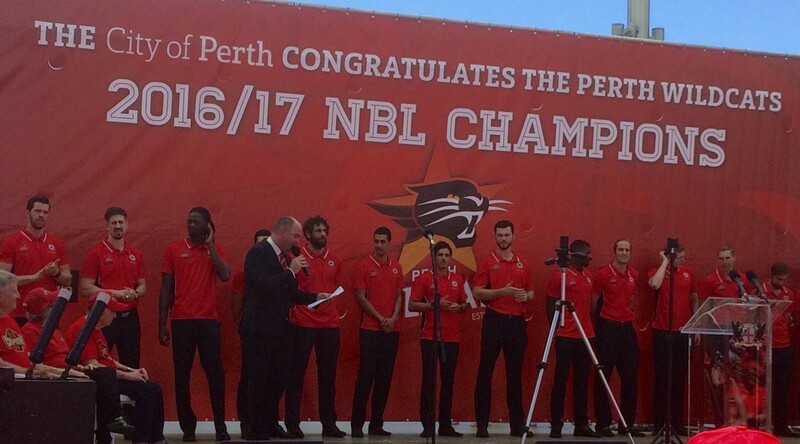 Modern Australian basketball is currently going from strength to strength. It has begun to compete with major sports like AFL and soccer, and in some cases is even taking players away from these sports. It numbers among the top few sports in terms of participation, and looks like it is going to continue growing over the near future. The Australian Boomers recently recorded their best ever Olympic Games finish, narrowly losing the bronze medal match to finish fourth. Many Australian players are now playing in the NBA and in major European competitions, which bodes well for the future of Australian basketball. There are also positives on the women’s side of Australian basketball. The WNBL recently signed a new deal which will see it televised for the first time in over two years, and the Opals appear to be developing into a powerful team on the world stage. Although things like AFLW are drawing players away from women’s basketball in Australia, we can still expect participation rates to rise over the coming years. Basketball in Australia has a long and varied history. It started out small, and never really caught hold until the mid 20th century. However, it has skyrocketed in popularity since then to become one of Australia’s most popular sports for both men and women.